In this tutorial we are going through all necessary steps to create a native app for Android that makes use of Onirix Places for Android. 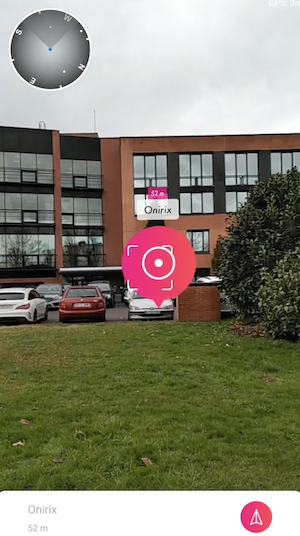 The goal of this tutorial is to create an application that runs on your AR compatible device and allows you to place Points of Interest on a map to create outdoor experiences with location-based Augmented Reality (AR). Onirix Studio: the base for our AR project. 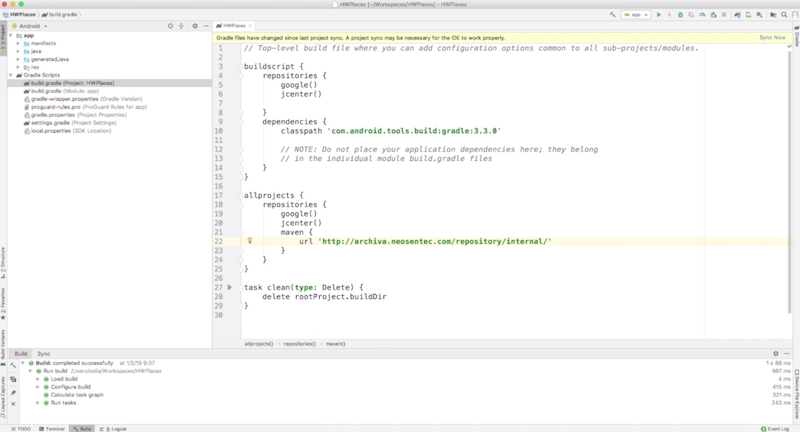 Android Studio: the official IDE for Android development. It includes everything you need to build Android apps. Places Android Library: this library allows us to create Onirix Places experiences for Android. The complete source code for this example is avaible on Github, inside the onirix-examples repository. We start with creating a new project in Onirix Studio. In the following video we show you how to create a new project and how to add Points of Interest using our map creation tool. The next step is to download and install Android Studio. To create a new project, run Android Studio and select “Start a new Android Studio project”. Choose project for “Phone and Tablet” with “Empty Activity”. Assign a name and package name, save the location and set a minimum API level (we recommend level 19 or higher). Make sure that you select “User AndroidX artifacts”, which provides us with the functionality of the AndroidX library. Click “Finish” to create the project. We have to add a custom maven repository to "_build.gradle (Project: nameproject)". The repository should contain the following items. Please note that the order is important for dependency resolution. Data Binding Library: a support library that allows us to bind UI components to data sources inside our app. Onirix-places-android-sdk: a library that allows us to create applications that show POIs and routes on a map. Now, we have everything we need to create our first Android application. In the next few steps, we are going to edit a number of files. In "MainActivity" we need to manage the permissions for the camera and the users's location. This is necessary for the application to work. Once permission is granted, we can access the AR Activity we are going to implement in the next step. Our AR map is defined as an Activity. For this tutorial, we create “ARMapActivity” which is extended from "com.onirix.places.ui.MapActivity". onMapLoaded: this method is called when the map is loaded. If there is any problem, map will be null and an error message will be returned. onLocationUpdate: this method is called when the location is being updated by the GPS or the Network provider. onPlaceTouched: this method is called whenever a POI is touched. onFocusChanged: this method is called whenever a POI enters the crosshair in the middle of the screen. This application must keep the screen on in order to display the map. This class allows us to configure different display options for the map. In this example, we show a radar, distances etc.. For further information, we recommend reading Map Configuration within the Places SDK for Android. This class allows us to configure different display options for POIs. In this example, we show the radar distance etc.. For further information, we recommend reading Places Configuration within the Places SDK for Android. A call to "loadOnirixMap" allows us to load the map we want to display in our application. In the last step, we open the "AndroidManifest.xml" and change the default theme of our application to something like “Theme.AppCompat.Light.DarkActionBar”, that extends from “Theme.AppCompat”. That's it. Congratulations for completing this tutorial! If you ran into any problems, please get in touch with our support. We are always ready to answer your questions!